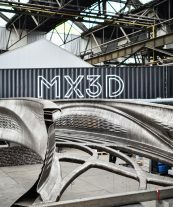 After years of (im)patient waiting, the MX3D Bridge not only dispels the tense anticipation surrounding digital manufacturing but does so with a utopian construction in the picturesque centre of Amsterdam! 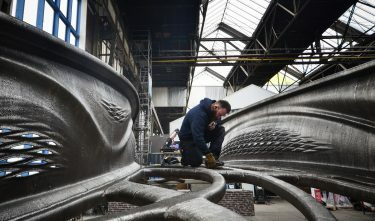 The leap in research into 3D printing opens the door, once and for all, to other (large and / or public) applications in architecture and the metal industry. The jury is curious to see how this will be emulated, and where it will lead. 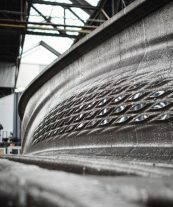 Laarman has set the bar high, with an extraordinary choice of material: steel, a typically (conservative) construction material, known for its extremely static properties. The form and material freedom achieved by the design hint at almost unimaginable scenarios. 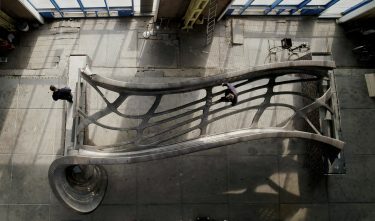 — The form and material freedom achieved by Laarman and MX3D hint at almost unimaginable scenarios.